The combination of the experience of political elders and the creative and innovative ideas of young people is crucial to achieving good governance and sustainable development in the country, Lagos State governor, Mr Akinwunmi Ambode has said. He said while delivering goodwill message at the second edition of the Bola Tinubu Youths Summit, held at the weekend at MUSON Centre, Onikan, Lagos. The summit was parts of the activities lined up for the 66th birthday of the All Progressives Congress (APC) National Leader, Asiwaju Bola Ahmed Tinubu. Ambode noted that it is very imperative to create a platform in which the benefits of the experience of the elders would be effectively combined with the creative and innovative ideas of young people to align the nation’s desire for good governance and growth with global trends. Represented by his deputy, Dr. Oluranti Adebule, the governor said that his administration right from the inception believed in government of inclusion in which a level playing ground is provided for everyone including youths so as to contribute to the growth and development of the country. Describing the theme of the summit Making Nigeria Work- Synergy between Leadership and the New Generation as apt, the governor noted that the summit was relevant as it came when political activities towards next year’s general elections were gathering momentum. He noted that the summit could not be better organised than now when there was a general clamour for increased participation of the youths in governance which according to him is inspired by the Not too Young to Run bill that is fast gaining ground at the National Assembly. The governor challenged the youths across the country to be steadfast and continue to demonstrate good character in their quest to make positive difference in governance, urging them to "show strong determination and draw inspiration from leaders who are selfless and people centred in their ideas, policies and ideologies’." 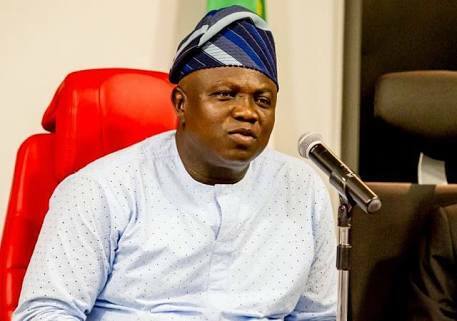 Praising Asiwaju Tinubu for his leadership quality, The Nation reports that Ambode said his numerous contributions to the evolution and sustenance of democratic governance / ideals in Nigeria are widely acknowledged not only by Nigerians but across the globe.